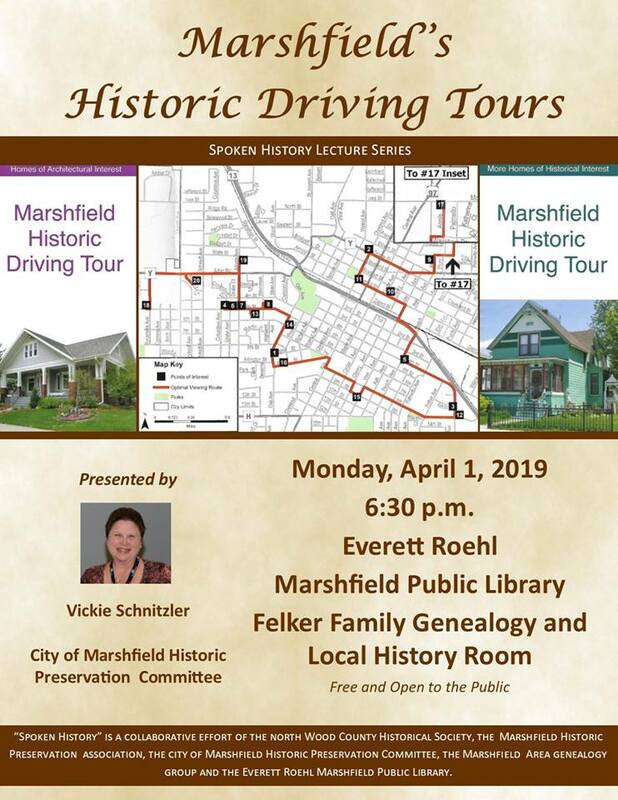 Monday, April 1, 2019 at the Everett Roehl Marshfield Public Library, Felker Family Genealogy and Local History Room, 6:30 p.m. Free and Open to the public. Presenter, Vickie Schnitzler, Chair of the City of Marshfield Historic Preservation Committee, will highlight the committee's two driving brochures. One features city homes of architectural interest and the other homes of historical interest.